Converting demanding specifications into superior quality and exceptional service for 70 years. Since our founding in 1948, cutting-edge technology, versatility and quality have always been the driving forces at Meto-Grafics. We manufacture products that are made of a myriad of materials using state-of-the-art equipment and processes, and that are in compliance with quality programs such as ISO 9001 and AAR M-1003. And to serve our customers who supply military products and equipment, we are also ITAR-certified. 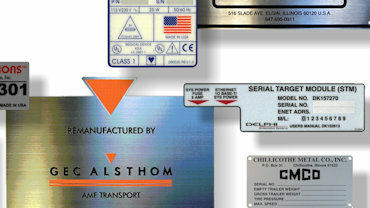 Used in a wide range of applications, including locomotives, commercial and military vehicles and aircraft, medical equipment, food service equipment, high-tech electronics, machine tools, zoos, aerospace, shopping centers, commercial buildings, prisons and research laboratories; our instrument panels, nameplates, graphic overlays, labels, decals, dials, scales and signage set the standards for the industry. While we offer a variety of proven manufacturing processes and materials, Meto-Grafics will always explore new and innovative combinations of processes and materials to meet any unique challenge your job requires. 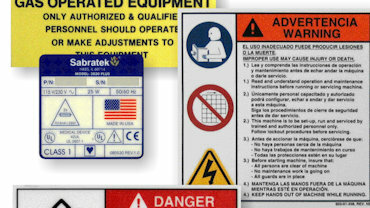 Often overlooked, decals, label and stickers provide critical information with an impact on the safety or an operator or the success of an operation. 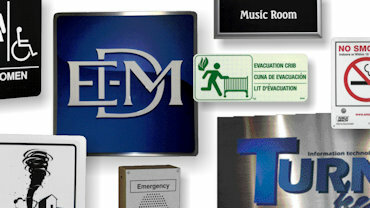 Meto-Grafics can provide your complete regulator signage requirements. 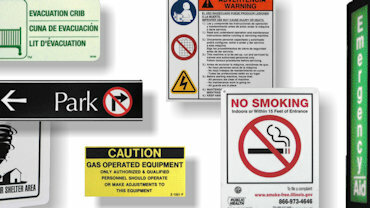 If you are unsure of your regulatory signage requirements or format, we will, at no obligation, help you design the format that will meet current ANSI regulations. 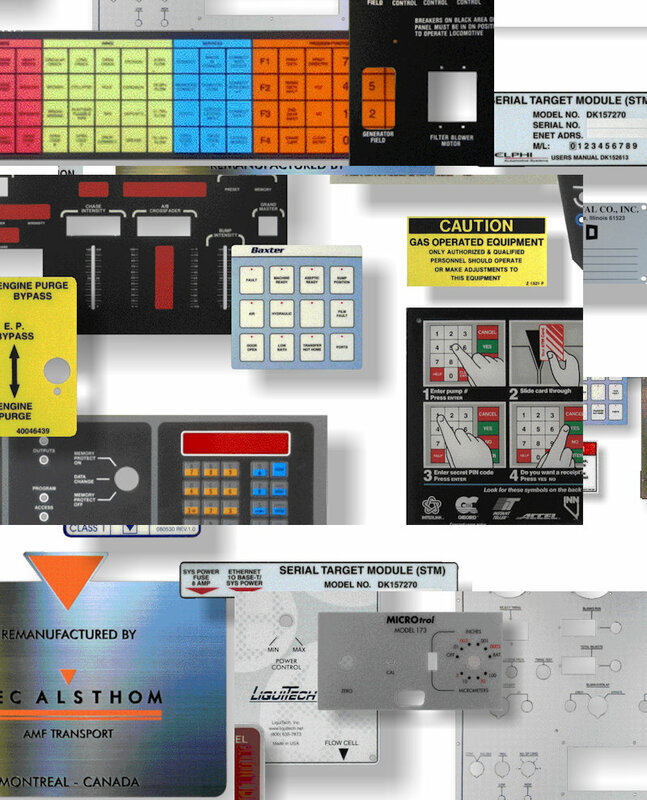 Meto-Grafics can manufacture any nameplate, regardless of size, shape or material requirements, including military specifications. 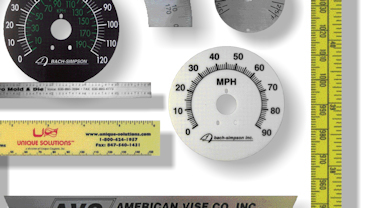 Meto-Grafics can accurately manufacture virtually any type of precision dial or scale from materials as diverse as aluminum, stainless steel, acrylic, polycarbonate, or plastic/metal laminates. 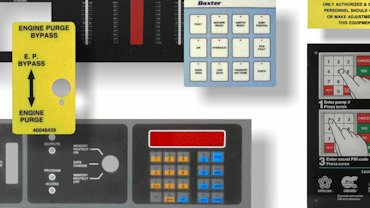 Meto-Grafics manufactures instrument and control panels with an unrivaled degree of precision and quality. We also offers comprehensive design, engineering and computer-generated artwork services. 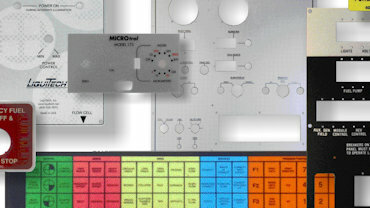 Meto-Grafics provides complete regulator signage. We will, at no obligation, help you design the format you need that will meet current ANSI regulations.